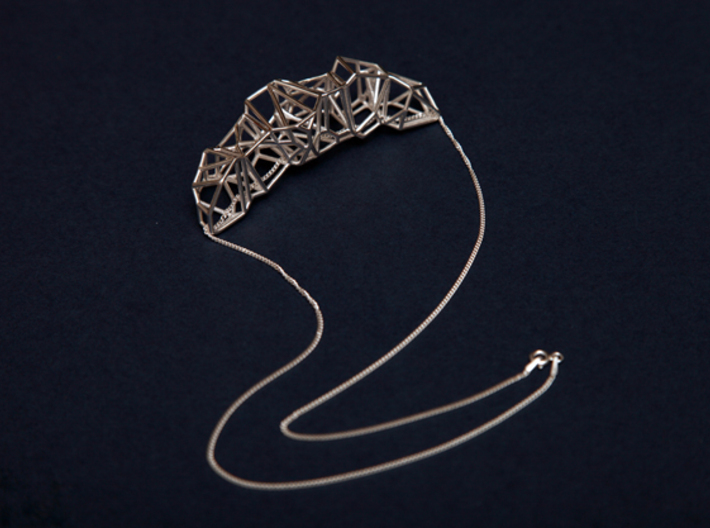 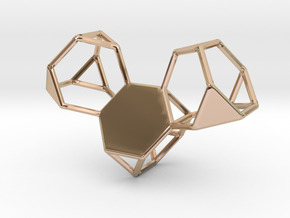 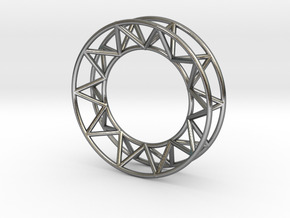 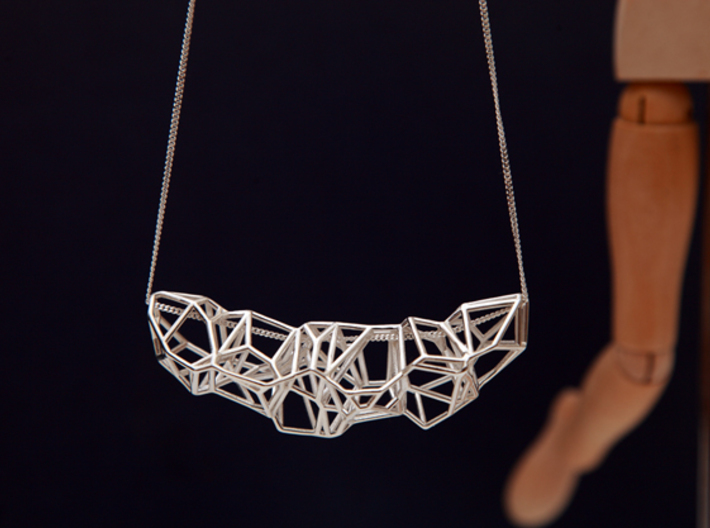 This piece is a pendent from a series I've developed which works with the generation of geometry for points in space. 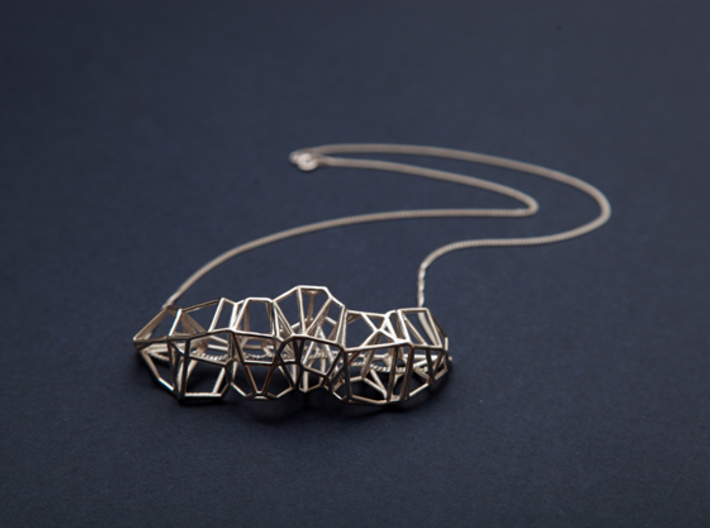 The Voronoi geometry of this pendent is asymmetrical yet balanced, and presents a form which works regardless of orientation. 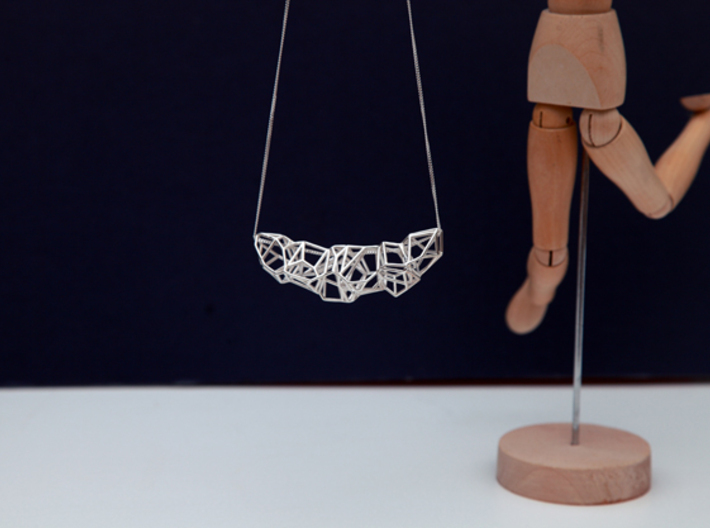 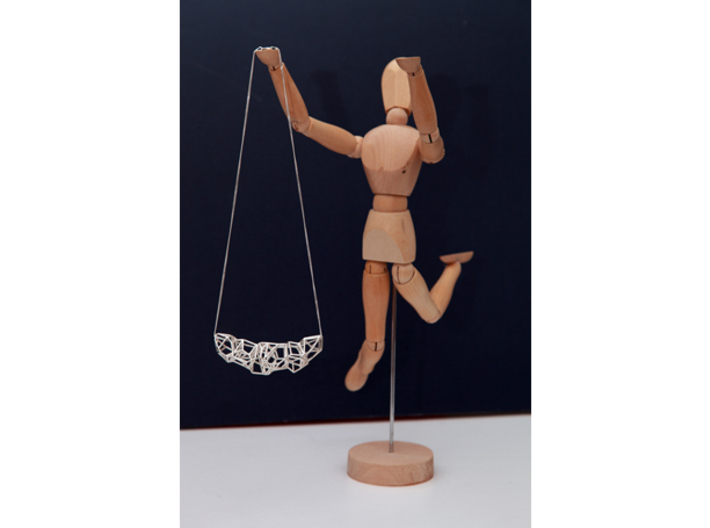 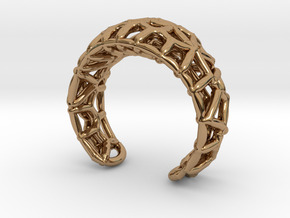 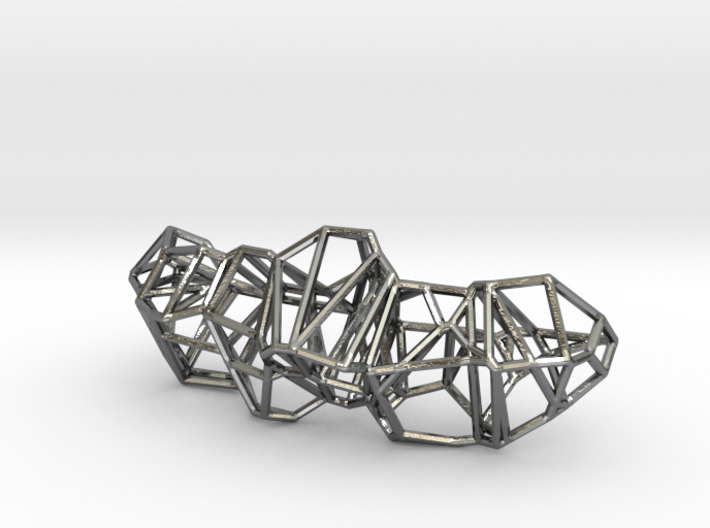 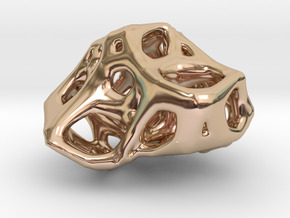 This pendent is created from a complex linked framework which forms an asymetrical focal piece of jewelry which works well in a variety of materials, on a fine chain between the lengths of 45-75mm ___________________________________________________________________________ Please note that prices are in U.S Currency, and chains are not included in sales through Shapeways. 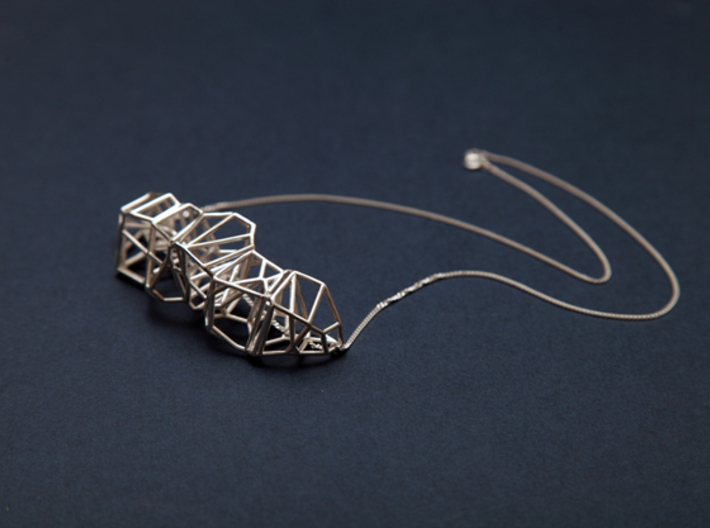 ___________________________________________________________________________ Visit my store at https://www.etsy.com/au/shop/StudioNoesis for more Jewellery and follow me on instagram @Studio_Noesis for more ideas, inspiration and designs which are yet to be produced!